In April 2011, Dell Computers made the news by announcing it would use ship computers in packaging made of mushrooms. 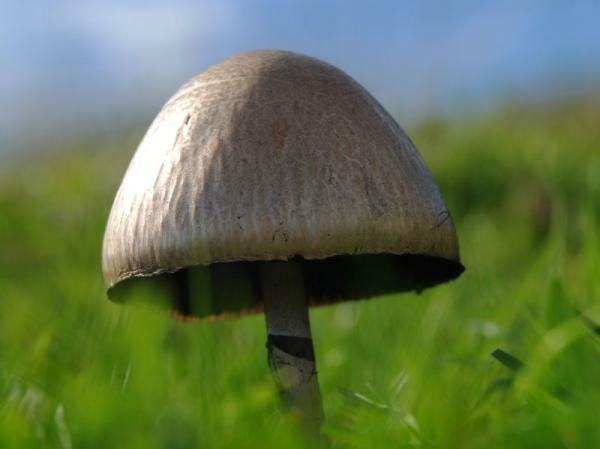 How do mushrooms become packaging material? How well will it work as packaging? How does making packaging out of mushrooms benefit the environment? The company that makes this novel packaging material, Ecovative (not "eVoCative", but "eco-vative"), wanted to make a product that did not depend on petro-chemicals, did not take food away from hungry people, and used little energy to manufacture. Ecovative decided that mushrooms would do the trick. The starting point is an agricultural byproduct such as "buckwheat husks, oat hulls or cotton burrs". The company presses this into the desired shape for the packaging... perhaps to fit around one of Dell's laptop computers. Then they "seed" this shaped organic material with mushroom spores. The spores then begin growing the mycelium, or "root" structure of the mushrooms. In less than a week, the mycelium threads itself throughout the initial material, conforming to the initial shape but making it much stronger. The final step by Ecovative is to heat treat the packaging material. This kills the mycelium so it will not sprout the "fruiting bodies", or mushroom caps, from which new spores would be shed.